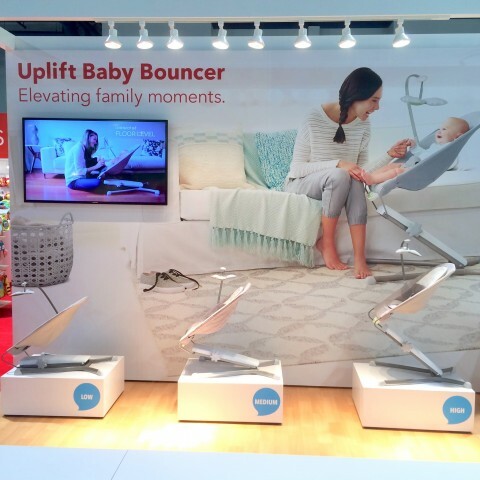 We all know that setting up your baby registry can be an overwhelming task. As first time parents, how can you be expected to know what you need and what products are best? 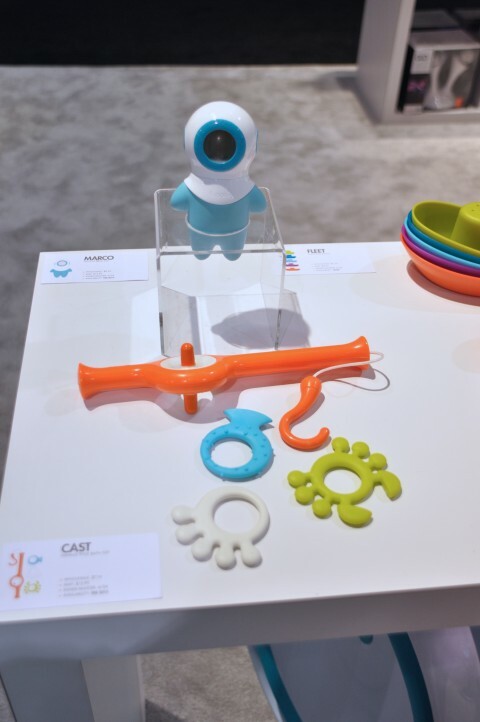 I’ve been involved with the baby product industry for over 10 years, so at this point, I’m familiar with what is out there, but if you’re starting from square one getting ready for a new baby, you’re going to feel like you’ve got a lot of catching up to do. My #1 advice to you is to keep it simple. I’ve seen lots of recommended registry lists over the years, but you do NOT need everything on any of those lists. Making things modern includes keeping things minimal, so I believe in getting only what you really need and no more. The first thing you’ll need is a car seat. You’re not going to be able to drive home from the hospital without it. 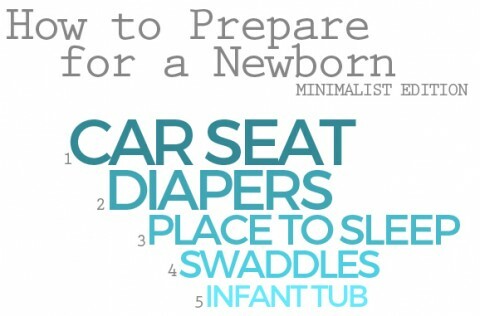 Even if you have a home birth, be ready with the car seat at least by the time you get out for baby’s first check up! If you only want to buy one car seat, you can start off with a convertible car seat. If you want to carry the baby in and out of the car in their seat, if they’re sleeping, for example, you’ll start off with an infant car seat and then move up to a convertible car seat. The next thing you must have is diapers. 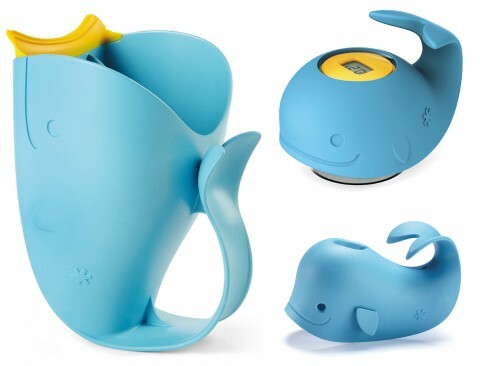 You can use disposables or choose cloth diapering. 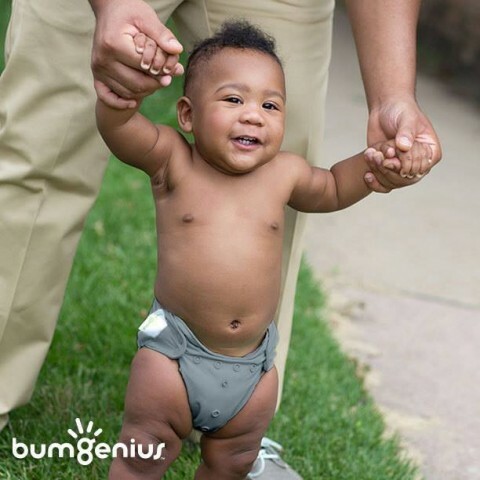 We don’t talk about cloth diapering here on the blog since I didn’t do it and don’t know much about it, but Babylist has a great guide to get you started and help you understand how it all works and what you need to know to make a great choice for cloth diapering. Once baby is home and dry, they’re going to need a place to sleep. 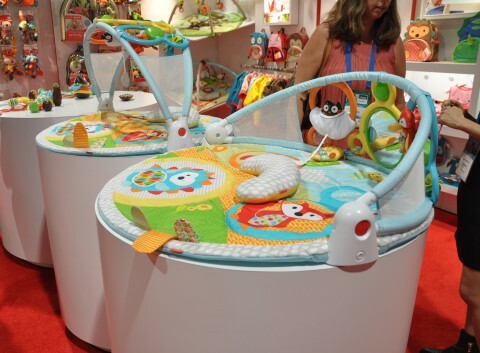 If you’re co-sleeping, this isn’t going to require any additional purchase, but you can choose a bassinet or travel bed for room sharing and nap time, or a crib for when you decide to have baby sleep in the nursery. To help baby sleep and keep them comforted, I recommend swaddling. 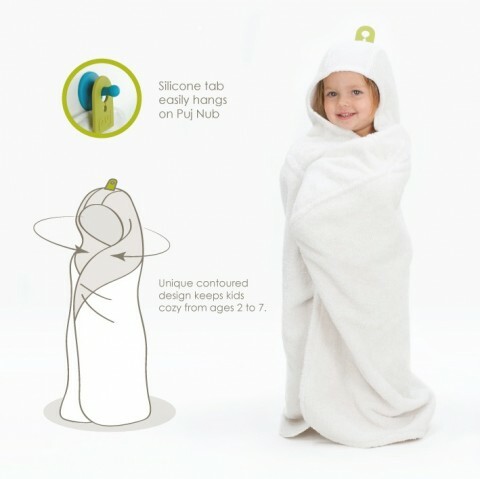 There are lots of different types of swaddles, from simple muslin blankets, to specially designed zipper or velcro models. Pick what works best and makes sense to you, then try it out to see if it works for baby. Once you find something you both love, stock up on a few. The next thing you may want to consider for your newborn is a bath. 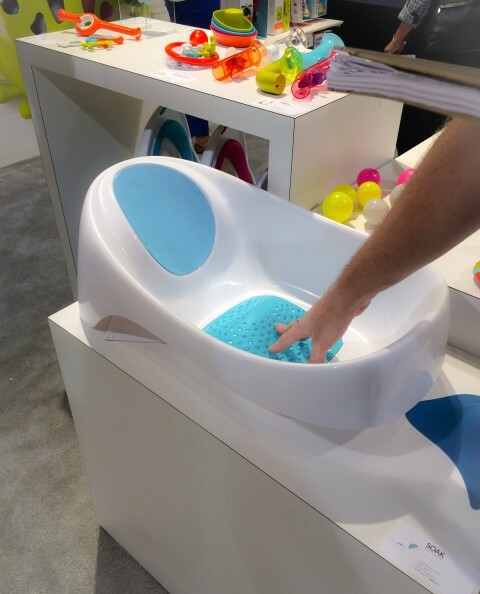 You could skip the infant tub by showering or going into the bath with your baby, but unless you’re willing to do this every time until baby is ready to sit up on their own, there are lots of different bathtub options specially designed to make both you and baby comfortable for an enjoyable bath time. A handful of items are all you’ll need right off the bat to get started with your precious newborn. Babylist has put together a series of really great “Best of Guides” that include the top picks of thousands of parents to help you make a great choice in any of these categories. 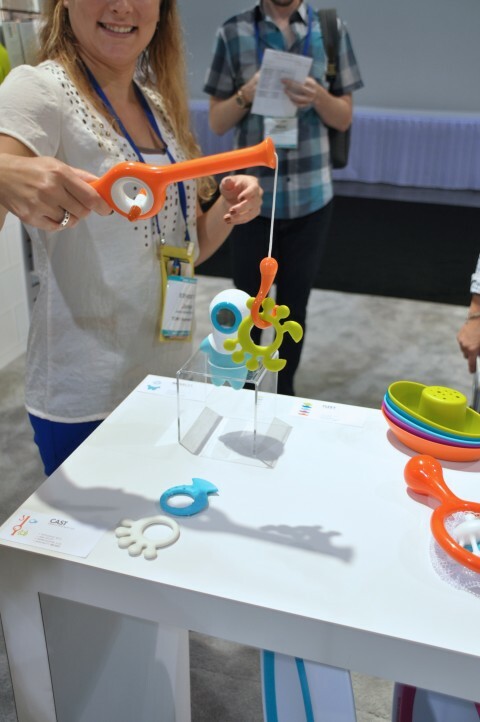 You can add your favorite products to your Babylist Baby Registry. 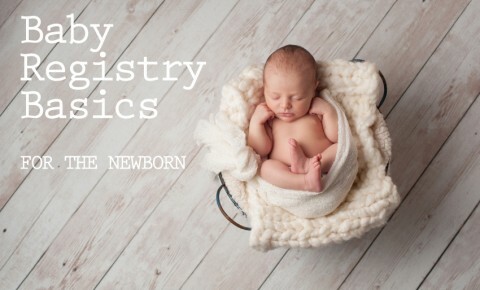 Thanks to Babylist for sponsoring this informative series. Next week, in part 2, we’ll share the most important pieces to help you prepare the nursery! 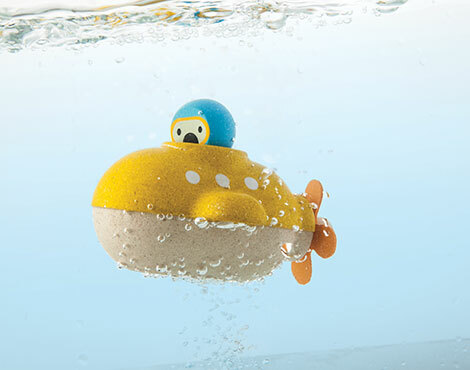 If I have to think of brands with modern bath toys, Boon is among the top on a very short list. and my favorite, Cogs , which stick to the wall and spin when water is poured on them. I bet you can’t wait for bath time! We’re going to spend this week talking about our favorite categories in the Cribsies since it’s the last week to vote. 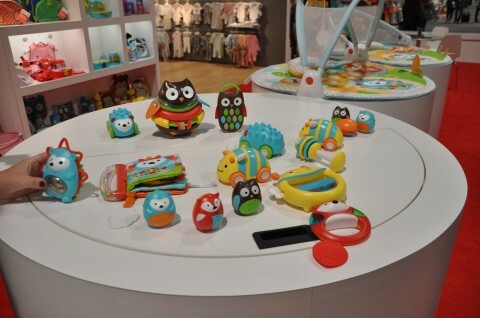 Founded by StrollerTraffic.com, the Cribsie Awards select and honor the best baby brands and products. Nominations are in, the finalists have been selected and there’s still time to select your favorites as the best for 2015. 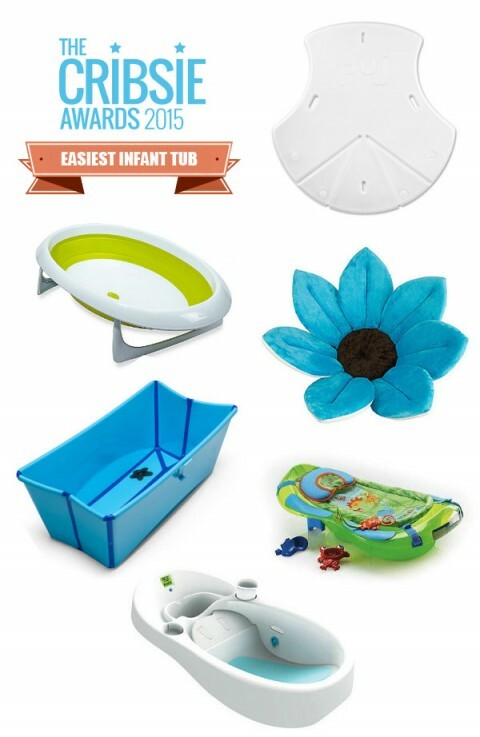 My first favorite award in the Nursery category is “Easiest Infant Tub“. Fisher-Price Bath Center, Rainforest or Fisher-Price Bath Tub, Rainforest Friends (not sure since the name says one thing and the photo shows another. 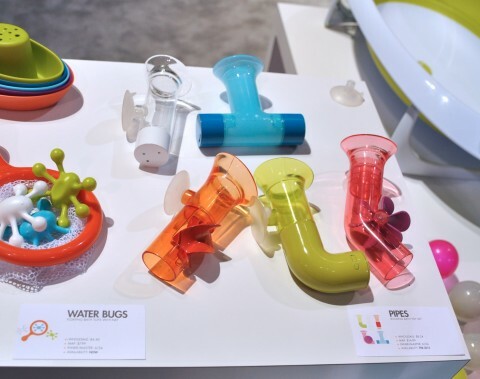 My least favorite is the Fisher-Price Rainforest Bath. 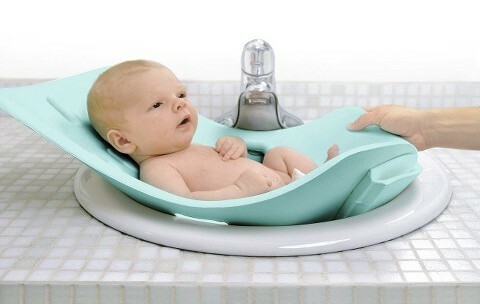 I think their 4-in-1 Sling ‘n Seat Tub would be a better choice. So, which baby bath are you voting for? Any of your favorites that didn’t make the finals? 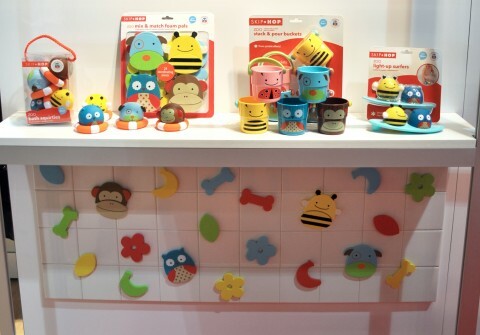 Boon probably has the most modern collection of bathing products and a great variety of bath toys. 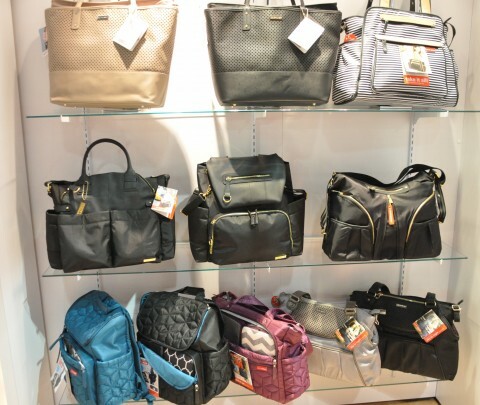 They have a number of new products for 2015. First is the Soak tub. If the Naked doesn’t work for you, then you might be interested in Soak. 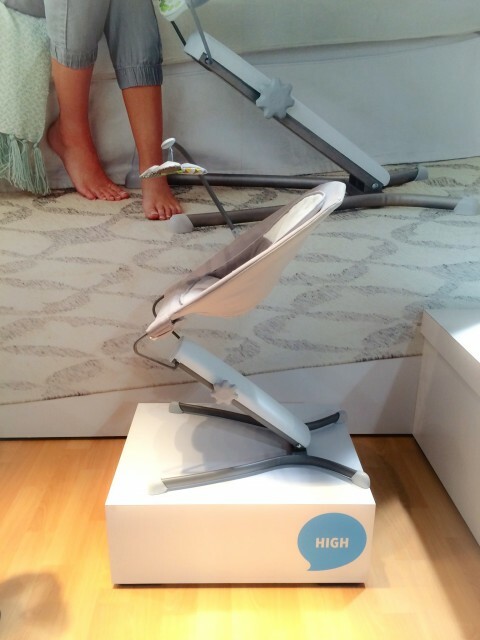 Its innovation is the mesh base that works for a newborn in one position and when flipped around, works better for older babies. 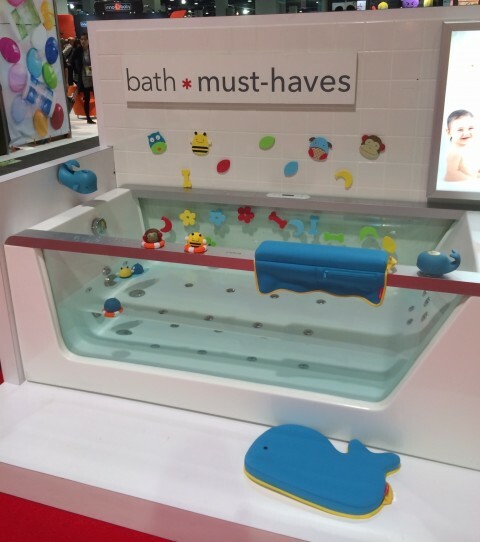 A number of new toys will make bath time more fun. 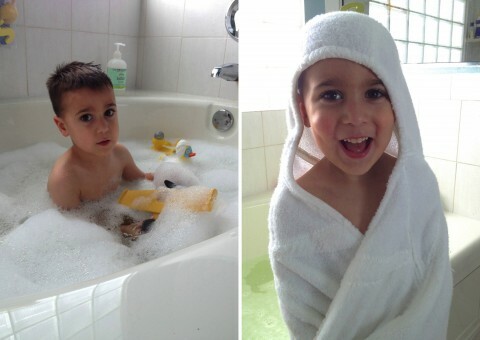 Sadly, my boys have moved on to showers. They’re missing out on these great new choices from boon! Cast is a cute fishing game. Marco is a little diver. And Pipes stick to the wall and have water flow from one to another. I’D play with those! 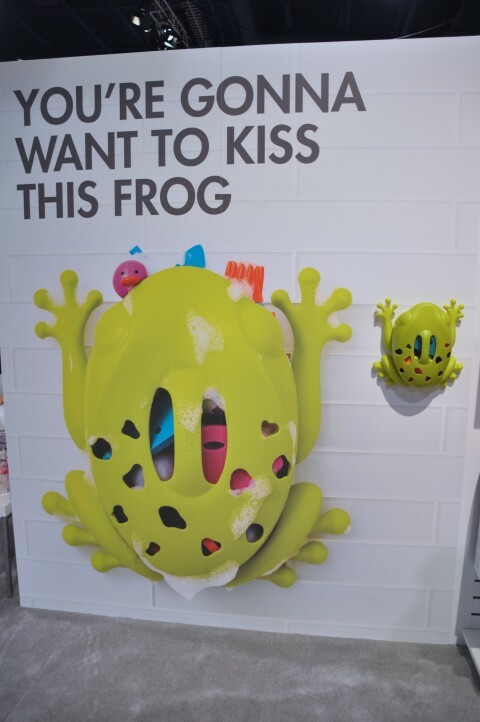 Finally, the Frog Pod is being updated with a wider, less detailed design. 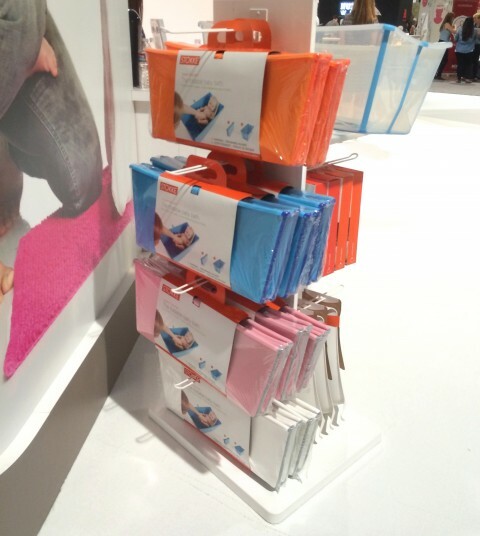 Stokke has the Flexibath under its umbrella of products and now you can get it in more colors. 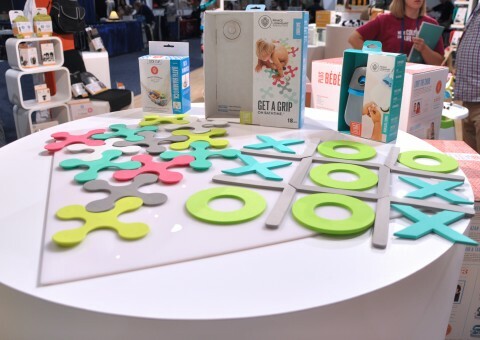 Prince Lionheart is coming out with some bath grips and this tic tac toe game should be fun. 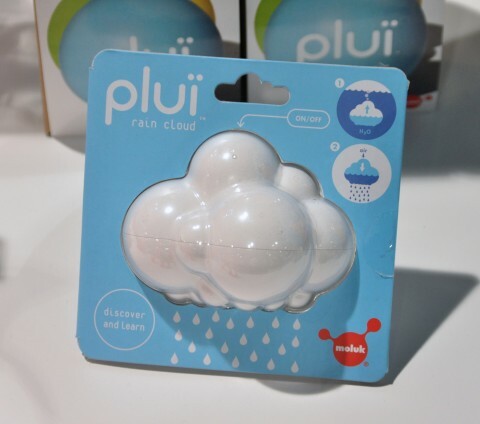 Kid o has a variety of great modern bath toys, and this Plui cloud will be a great addition. 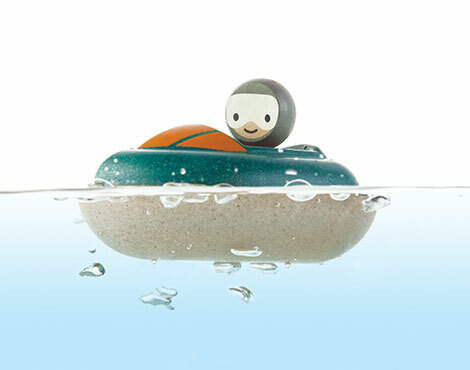 You wouldn’t think so, but it’s not easy to find really cute boats to play with in the bath. 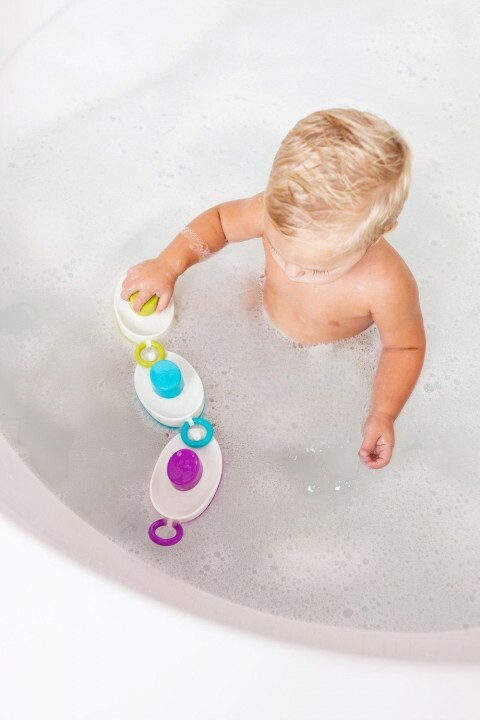 These new bath toys from Plan Toys are making it a lot easier! 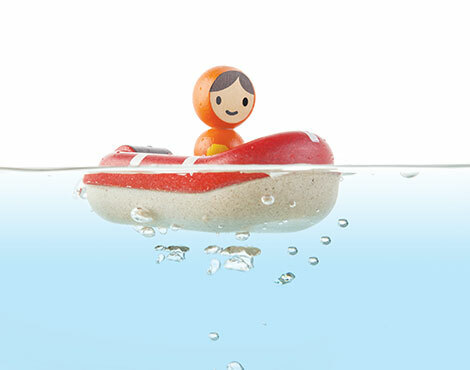 Speed Boat, Submarine, and Coastguard Boat are adorable and now available for $15 a piece. Congratulations to Katie from Puj on the arrival of sweet little Liberty! 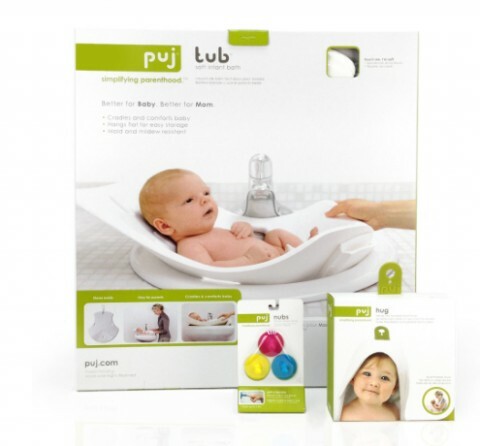 This makes it a great day to let you know about Puj’s new Infant Gift Set, which includes a Puj Tub, Nubs and my favorite, the Hug towel for $85. This is really gift perfection. In honor of Liberty’s birth, you can get 10% off and free shipping until Friday, 11/14 with code: LIBERTYFAITH10. And if you’re past the newborn stage, take a look at the Big Hug. 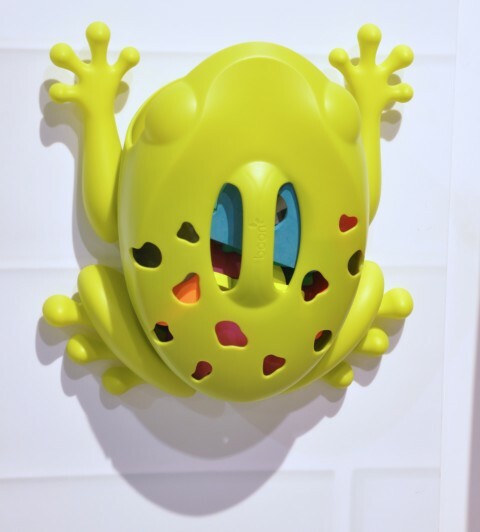 It’s my favorite product that I haven’t told you about yet and my 4 year old is obsessed with his. In fact, my son was very upset last night because his Big Hug was in the laundry and he had to make do with an ordinary towel. I love that he can use it on his own, dry himself off and then hang it on a hook by its rubber tab. This has been life-changing! The name “Big Hug” really describes this towel perfectly. All the kids have to do is hang the hood on their heads, tuck their hands in and give themselves a hug. Presto! They’re wrapped up and cozy. We’ve been using the Big Hug for 8 months straight now and it still looks as good as new. By way of disclosure, I was lucky to be a Big Hug product tester so I received one from Puj to review. But really I just wanted to be one of the first to have one! I would have bought it anyway.